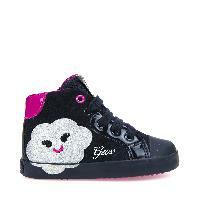 Kilwi Girl are the perfect trainers for your little girl. These baby shoes come with the exclusive Geox-patented perforated sole that maintains the optimal micro-climate inside the shoe. The insole is removable for practicality and hygiene reasons and comes in breathable, cushioned and anti-bacterial Ortholite. The Check-Your-Feet system on the insole means you will always choose the best size for your child. 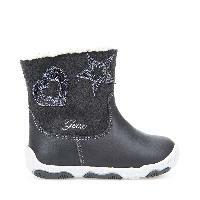 The covering comes in chrome-free leather to guarantee well-being for your child's feet and ensure they feel dry at all times. The mesh lining boosts breathability. Optimal durability and grip are provided by the rubber sole. 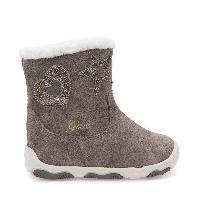 The smoky grey suede upper with beige inserts and python-print details goes with everything and they are easy to put on thanks to the laces and double zip.